If you wear contact lenses or are even thinking about making the switch to contacts, then The Plano Eye Care Center is here to provide you with the widest selection from which to choose. From daily disposables to monthly lenses, we carry today’s top brands at competitive prices. Not to mention, we’re your one-stop-shop for all your other eye care needs, ranging from comprehensive eye exams to treatment for any number of eye conditions. What Are Monthly Disposable Contact Lenses? 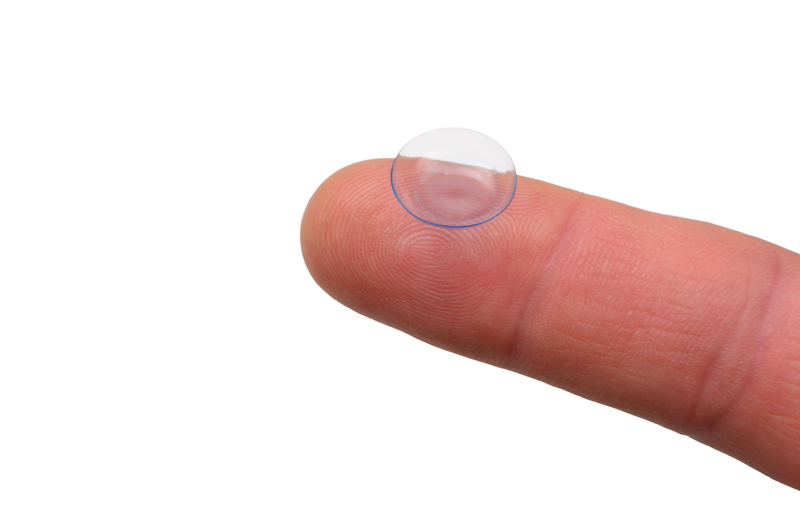 Monthly disposable contact lenses are a very common type of lens. Specifically, these refer to contact lenses that are worn for about a month at a time before being disposed of and switching to a new pair. Within the category of monthly contact lenses, there are numerous categories of specialized lenses that may suit your needs. Extended-wear contact lenses: allow you to wear the same pair for up to a week straight without having to worry about taking them out. Monthly disposable lenses: when compared to daily disposables, tend to be harder and more rigid due to the fact that they need to be worn for longer. This is something to consider when deciding on the type of lens that’s right for you. There are a number of benefits that come along with wearing monthly disposable contact lenses. One of the main benefits people tend to enjoy is that of a lower cost, especially when compared to daily disposable lenses. Because you only need to buy one pair of lenses per month, you are able to save a significant amount of money on your contacts. This is why monthly contact lenses tend to be the best option for those who are on a tight budget but still want to be able to afford contacts. Furthermore, many people note that monthly contact lenses are more comfortable than daily options. This may be due to the fact that these lenses, due to their design, are able to allow more oxygen through tot he eyes. As a result, your eyes breathe better while you’re wearing your lenses and you experience less discomfort. For this reason, monthly disposable lenses tend to be a good option for those who are just starting out with wearing contacts. Of course, it is worth noting that with monthly contact lenses, you’ll need to take the time to clean them each day so as to keep them safe for wear. Therefore, you should only select this type of lenses if you are comfortable with cleaning and caring for them each day. Schedule an Appointment With The Plano Eye Care Center Today! Request your appointment with The Plano Eye Care Center today if you are thinking about making the switch to contact lenses; we would be happy to schedule you a contact lens exam. If you’re in need of hard-to-fit contacts, such as those for conditions like dry eye or astigmatism, we’re here to help. Give our office a call at 972-964-3937 to talk to our friendly staff and find out more about how we can suit all of your eye care needs. We’ll be sure to find an appointment date and time that works with your schedule, and we even offer Saturday appointments if needed! Our team would be happy to answer any questions you may have when you call.